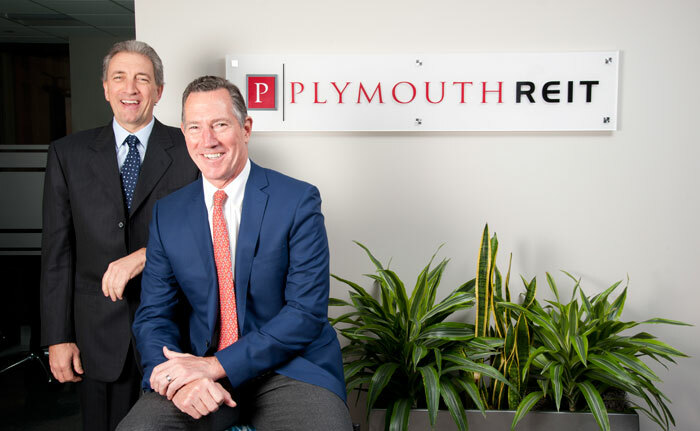 We formed Plymouth Industrial REIT to own income producing industrial real estate assets over the long term. Utilizing a proactive approach to real estate investing, we are committed to building shareholder value. Our three guiding tenets - EXPERIENCE - DISCIPLINE - INTEGRITY - constitute the foundation of our company. Our EXPERIENCE tells us that we should be confident in the future growth of equity REITs. For nearly fifty years, REIT's have mirrored the continuing growth and strength of the US economy and have provided meaningful income to shareholders. We believe REITs are an important part of an investment allocation for both growth and income. Our investment strategy is based on DISCIPLINE. We are dedicated to sound investment fundamentals and seek to uncover opportunities that others may ignore or overlook. We are intensely focused on adding value through day-to-day asset management, property repositioning and prudent capital allocation. INTEGRITY forms the base of our foundation. We strive to be a good corporate citizen and understand that a company is only as good as its people. Among our shareholders, customers and employees, we have a company where we all have a vested interest. Real estate is about more than concrete and steel, it's about people. It always is.